When it comes to septic tanks and systems, it’s pretty much never a DIY situation. A malfunctioning septic system can contaminate Edmonton drinking water supplies and cause flooding, as well as create sewage backup and biohazardous situations. If you need a septic system installed, pumped or repaired, hiring a certified Edmonton, AB septic professional is a no-brainer. 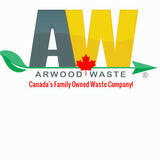 Edmonton AB Dumpster Rental & Portable Toilet Rental Call 888-407-0181 or visit <a rel="nofollow" target="_blank" href="http://www.AWWaste.ca">http://www.AWWaste.ca</a> today & see why we're Canada's Best Family Owned Waste Company! Lowest Prices & Superior, Friendly Service are what set us apart from the rest! Contact us today for a Free Estimate! Provinces and Territories We Serve Ontario, Quebec, Nova Scotia, New Brunswick, Manitoba, British Columbia, Prince Edward Island, Saskatchewan, Alberta, Newfoundland and Labrador, Northwest Territories, Yukon, and Nunavut. 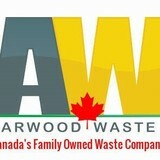 St. Albert AB Dumpster Rental & Portable Toilet Rental Call 888-407-0181 or visit <a rel="nofollow" target="_blank" href="http://www.AWWaste.ca">http://www.AWWaste.ca</a> today & see why we're Canada's Best Family Owned Waste Company! Lowest Prices & Superior, Friendly Service are what set us apart from the rest! Contact us today for a Free Estimate! Provinces and Territories We Serve the following areas as well: Ontario, Quebec, Nova Scotia, New Brunswick, Manitoba, British Columbia, Prince Edward Island, Saskatchewan, Alberta, Newfoundland and Labrador, Northwest Territories, Yukon, and Nunavut. Tri-Lakes Services Ltd prides itself on being the go-to choice for clients looking for Septic, Sewage and Portable Washrooms services.